Finding safe toys and accessories for gerbils for sale in petshops can be a tricky business, and when you have several or many tanks to cater for, this can become very expensive as well. There are many items that you can find at home that will make excellent toys and cost very little or nothing to adapt to make them safe for your gerbils to gnaw and/or play with. Here are the some of the ones we use at home. Firstly, there are the obvious ones like empty toilet rolls, kitchen rolls, and cardboard boxes etc. These make excellent chew toys for your gerbils. Glass jars can also be used, empty coffee jars, jam jars etc make excellent tank accessories. Make sure they are thoroughly cleaned and the opening is no smaller than 5cm for Mongolian gerbils; that way, even the most rotund gerbil will not get stuck! Our gerbils use glass jars for various purposes, some use them as a toilet, some use them to store food, some just like to run in and out. They are rarely used as nest boxes by the gerbils, I think this is because they are glass and do not imitate a darkened burrow, but all the same they are invaluable accessories for any tank, and barring dropping them when cleaning, they will last forever. Terracotta plant pots are another firm favourite with our gerbils, they are inexpensive and come in many sizes. 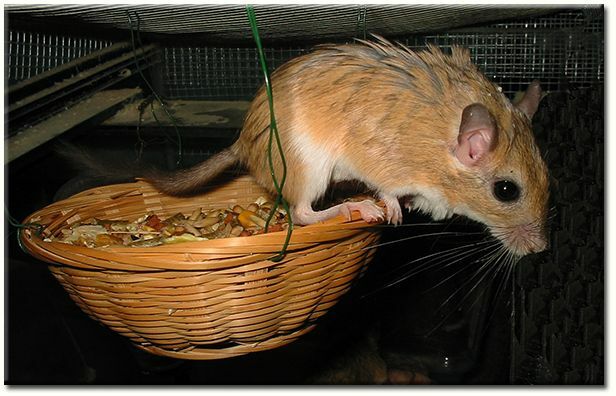 The gerbils living in every tank that we have put one in have used them as nest boxes. If you have any spare ceramic tiles, keep them handy, as they can be very useful in hot weather for helping to control temperature. Tiles that have been put in the freezer overnight can be placed on top of the tanks in hot weather, as cool air sinks, this will help lower the temperature in the tank for short periods of time. Plastic bottles of water can also be frozen and placed on top of the tanks for a similar purpose. Food cans are very handy, the standard sized soup/baked bean cans are the ones we use, remove both ends and sand down the rough edges, then clean thoroughly and you have a simple tunnel toy for your gerbil. Several cans can be stuck together with a safe children's glue or aquarium sealant to make multi-storey tunnel toys, eg 3 cans for the base, then two cans on top, and finally a single can at the very top (you end up with a triangular shaped tunnel toy). The cans are not everlasting and will rust if they are used as a toilet, but still make excellent toys for gerbils, and can continually be replaced with new cans that would otherwise end up in the dustbin. One of the tank accessories I make from the straw hats is hanging feeders. The hats are about 5" in diameter and they are hung upside-down by florists wires from the lid of the tank; the hat is then filled with food. Our gerbils really enjoy jumping up to the feeder and eating from it, especially the Bushy Tailed Jirds. I have found that if you keep the feeder topped up with food, many of our gerbils will not eat the hat as well as the food! We have tanks that have had these feeders intact for many months with barely a nibble, and some that last only a few weeks, but when you consider they cost less than 30pence each to make they are a great accessory for the tank either way. When using florists wire remember to bend the ends of the wire over about 5mm, this is easiest done using a small pair of pliers, then squeeze the end with the pliers, this will seal the end of the wire and prevent the sharp end injuring the gerbils. Craft Shops also sell the items sold in florist's shops but sometimes they can be more expensive than the florists, so check the florists first. Craft shops also sell wooden items that are ideal toys for gerbils, I have bought solid wooden balls 2" in diameter for very little, they last for ages, and the gerbils love them. They also sell wooden wheels in various sizes for making children's toys, these too can be used for chew toys, and again these cost very little compared to the price of wooden toys in petshops. Of course there are many other items that can be used - why not have a look round a few craft shops, I am sure you will find many great toys for your gerbils. I would be very interested to hear about any other toys members make or recycle for their gerbils.